I. JOB PURPOSE: The Head of Department shall provide strategic leadership and technical advice in promoting social welfare and community development programs and policies to improve the welfare of people and communities of the Assembly’s jurisdiction. II. ACCOUNTABILITY: The Head of Department shall report to the Chief Executive through the Coordinating Director of the Assembly. III. KEY RESPONSIBILITIES / JOB SUMMARY: ? Participate in the preparation of Composite Budget and Annual Action Plan for the MMDA; ? Collaborate with all regional heads (Social Welfare and Community Development) for their technical backstopping and monitoring; ? Formulate operational policies and coordinate community-based projects/day care centres and services for the rehabilitation of the physically challenged; ? Oversee efficient juvenile justice administration and implementation of statutory legal instruments; ? Monitor and evaluate programmes, policies and emerging social issues such as HIV/AIDS, domestic violence and child abuse, and make recommendations for decision making; ? Provide technical advice in the recruitment, performance and development of the capabilities, skills and knowledge of staff; and ? Prepare composite and comprehensive progress and annual reports on the activities of Social Welfare and Community Development in the Assembly. IV. REQUIRED SKILLS/COMPETENCIES: ? Must be self-disciplined and self-motivated; ? Ability to facilitate collaboration across teams to achieve a common goal; ? Ability to initiate, define and address high-level challenges and opportunities; ? Ability to use variety of communication strategies/ modes to promote dialogue and develop shared understanding and consensus; ? Be able to analyze and synthesize information to understand issues, identify options and support sound decision making; and ? Must be computer literate. V. MINIMUM QUALIFICATION AND EXPERIENCE: ? A Bachelor’s Degree in Community Development, Social Work, Development Studies, Social Sciences, Administration or relevant professional qualification; ? A minimum of Eight (8) years working experience in the Public Service with two (2) years in a managerial position; ? Must be in the Professional Cadre of the Social Welfare and Community Development Class; ? Must be a staff of the Local Government Service, and ? Membership of a recognized professional body will be an advantage. I. JOB PURPOSE: The Head of Department shall provide strategic leadership and technical advice in promoting works and infrastructure related programmes and policies of people and communities of the Assembly’s jurisdiction.
? Participate in the administration and management of contracts of infrastructure projects; ? Participate in the planning, design and implementation of projects in the MMDA; ? Lead in the preparation of reports on all infrastructural activities undertaken in the MMDA; ? Provide technical advice on infrastructure management to the MMDA; ? Facilitate the repairs and maintenance of equipment, vehicles and infrastructural facilities; ? Ensure the development of the capabilities, skills and knowledge of staff; and ? Prepare composite and comprehensive progress and annual reports on the Works Department activities in the Assembly;IV. REQUIRED SKILLS/ COMPETENCIES: ? Must be self-disciplined and self-motivated; ? Ability to facilitate collaboration across teams to achieve a common goal; ? Ability to initiate, define and address high-level challenges and opportunities; ? Ability to use variety of communication strategies/ modes to promote dialogue and develop shared understanding and consensus; ? Be able to analyze and synthesize information to understand issues, identify options and support sound decision making; and ? Must be computer literate. V. MINIMUM QUALIFICATION AND EXPERIENCE: ? A Bachelor’s Degree in Civil Engineering, Building Technology, Architecture, Quantity Surveying or equivalent relevant discipline; ? A minimum of Eight (8) years working experience in the Public Service with two (2) years in a managerial position; ? Must be in the Professional Cadre of the Engineering Group; ? Must be a staff of the Local Government Service, and ? Must be a member of a recognized professional body. I. JOB PURPOSE: The Head of Department shall provide strategic leadership and technical advice in promoting the formulation and implementation of Urban Roads policies and programmes to improve the urban roads network in the Assembly’s jurisdiction. III. KEY RESPONSIBILITIES / JOB SUMMARY: ? Participate in the preparation of Composite Budget and Annual Action Plan for the MMA; ? Supervise the collection of data for planning, development and maintenance of urban roads infrastructure of the MMAs; ? Establish and maintains a database on urban roads infrastructure in the MMAs; ? Maintain records of classified contractors and consultants in the urban roads construction industry; ? Facilitate the prioritization of works for the preparation of annual plans; ? Prepare progress and annual reports on urban roads works; ? Assist the evaluation of road designs by consultants; ? Collaborate with Regional Departments (Urban Road & National Road Safety Commission) for their monitoring and technical backstopping; ? Ensure the development of the capabilities, skills and knowledge of staff; ? Facilitate capacity building of contractors and stakeholders; and ? Prepare composite and comprehensive progress and annual reports on urban roads projects and activities in the Assembly. V. MINIMUM QUALIFICATION AND EXPERIENCE: ? A Bachelor’s Degree in Civil Engineering, Building Technology or equivalent relevant discipline; ? A minimum of Eight (8) years working experience in the Public Service with two (2) years in a managerial position; ? Must be in the Professional Cadre of the Engineering Group; ? Must be a staff of the Local Government Service; and ? Must be a member of a recognized professional. I. JOB PURPOSE: The Head of Department shall provide strategic leadership and technical advice in promoting the formulation and implementation of transport policies and programmes to improve the transport services in the Assembly’s jurisdiction.
? Ensure the development of the capabilities, skills and knowledge of staff; ? Establish, maintain and control parks for motor and other vehicles; and ? Prepare composite and comprehensive progress and annual reports on transport works in the Assembly. V. MINIMUM QUALIFICATION AND EXPERIENCE: ? A Bachelor’s Degree in Civil Engineering, Transport Economics, Planning, Transport Engineering or equivalent relevant discipline; ? A minimum of Eight (8) years working experience in the Public Service with two (2) years in a managerial position; ? Must be in the Professional Cadre of the Engineering Group or Development Planning class; ? Must be a staff of the Local Government Service, and ? Membership of a recognized professional body will be an advantage.
? Interested applicants should submit their applications together with photocopies of their certificates and Curricula Vitae (CV) to the respective Regional Coordinating Directors of their respective Regional Coordinating Councils (RCCs). 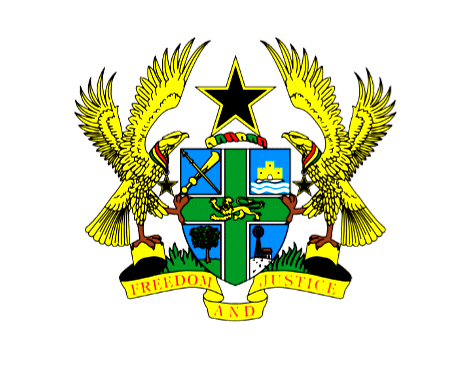 LGS-CV format for the application can be downloaded from LGS website www.lgs.gov.gh ; ? Officers who have already been appointed and posted as a Head of Department of any MMDAs are not allowed to apply for any of these posts; ? Deadline for the submission of applications shall be 12:00 noon, Friday, 25th November, 2016; and ? Only shortlisted candidates will be contacted for interview. In diesem fall wird in ihrem browser ein sog opt-out-cookie abgelegt, was zur folge hat, dass piwik keinerlei sitzungsdaten best-ghostwriter.com ghostwriter kosten erhebt an verschiedenen wochentagen, meistens jedoch dienstags um 20 uhr finden konzerte, und thementage statt. Posted in Announcements, General Documents, General News.